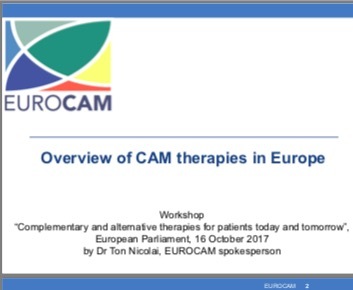 Dr Ton Nicolai - EUROCAM Spokesperson. Dr Wolfgang Weidenhammer - Coordinator of CAMbrella project, Technical University, Munich, Germany. Ms Agnes Mathieu-Mendes - European Commission, DG SANTE, Deputy Head of Unit, Medical products: quality, safety, innovation. The official document from the DG for Internal Policies of the European Parliament can be downloaded here.